Very interesting informative stuff at the Real Estate Commission hearings this morning. One agent was almost the entire meeting. She was guilty of 44 violations-all relating to property management, license was revoked, and fined $220,000 plus $5,446 for administrative and hearing costs. If you have never attended a real Estate Commission hearing, you need to attend. It will scare you to death. Fannie Mae announced a new program that allow first-time buyers of it’s properties to receive up to 3 percent of the purchase price in closing price assistance. Buyers must complete the online Home Path Ready Buyer training course on www.homepath.com Must be a first time buyer. Make the request for closing cost assistance in the initial offer submitted on or after April 14, 2015. SB 306 is a bipartisan bill aimed at addressing the Nevada Supreme Court decision concerning the extinguishment of a lender’s first lien rights by an HOA. This bill attempts to establish an orderly process under which an HOA can foreclose on a property while providing lenders an opportunity to cure the extinguishment by the HOA prior to foreclosure General Counsel Alfred Pollard of the Federal Housing Finance Agency ( FHFA ) testified on the importance of this bill to maintain a healthy lending environment in Nevada. GLVAR is now offering scholarships for NAR Designations. Applications for scholarships are due by May 8th. Upcoming designation classes at GLVAR are Military Relocation Professional, Seller Representative Specialist, Accredited Buyer Representative, and e Pro Certification. For more information, contact Krista Baker at 702-784-5000. In the past 3 years the median weekly wage has increased 1.3 %. The median home price has increased 17.3 %. Many sellers are simply asking too much for their homes in a market that hasn’t had much rise in value in the past 8 months. TODAY we will be having a LUNCH and LEARN at 12:00 hosted by Fidelity Home Warranty and BPG Home Inspection Company. RSVP to Ashley. 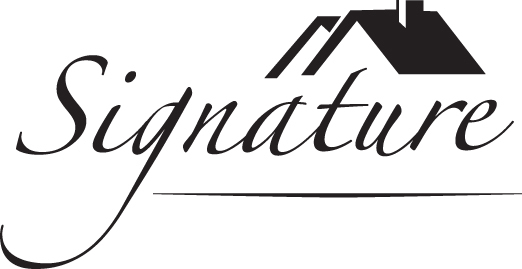 Friday, April 24th, Signature Summerlin Office Social at 4:30pm. Come network and mingle with all our new agents. Next Thursday at 9:00am our Master Mind in the Summerlin office will feature Pete Torsiello of our Northwest Office on “ How to do a listing Presentation” Food by Lennar Homes. Photos immediately after Master Mind. Friday April 24th 4:30pm: OFFICE SOCIAL!